The trainers at FIT 2 THE CORE/NUTRITIONWORKS are committed to making every participant’s fitness goals a reality. ﻿Our boot camp will provide you with cutting edge exercise and nutrition programs that are designed to be the most effective at creating and maintaining a lean, strong, healthy body. Participant camaraderie creates a fun and supportive atmosphere that will keep you coming back for more. Each participant will gain strength, flexibility, muscle, and knowledge to create a lean metabolic body. ¨ 50 minute boot camp sessions. You choose 2 - 4 times weekly. ¨ First/ last week will include a 30 minute assessment session providing TEE (daily, total energy expenditure), Professional Tanita Scale body composition analysis, body measurements evaluation, and goal setting. ¨ Nutrition information including sample menus, meal recipes, and weight loss and body fat reduction strategies. 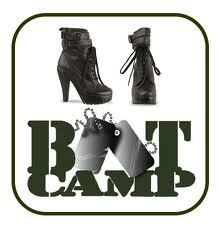 Boot camp will be held indoors as well as outdoors. Each session will focus on metabolic types of exercises - the fastest and most efficient way of getting LEAN! Although common boot camp exercises such as sprints, plyometrics, calisthenics, battle rope moves, tire flipping, interval training, and agility drills are the basis of our camp; modifications will be made for all levels of fitness. You will never be pushed beyond your ability, but yes you will be challenged.